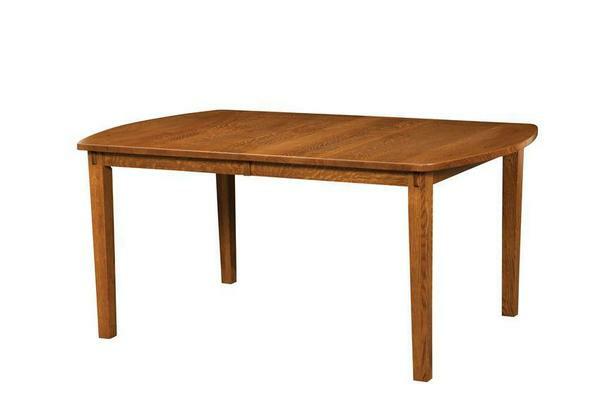 This Amish Shaker Table is a simply, elegant dining room table or kitchen table. This Shaker Tabel is shown in a 42" x 66" with a curved top and walnut wood inlays on the ends of the table. Create the look you desire for your dining room furniture with our many design options. Call one of our Amish furniture specialists at 1-866-272-6773 with questions or ordering assistance. They are happy to send you our finish samples to assist you with deciding on your stain or paint selection.